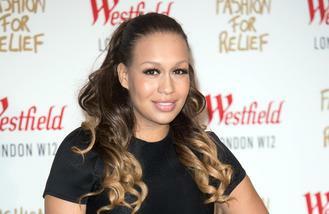 Rebecca Ferguson was "heartbroken" when she was labelled a "mistress". The 30-year-old singer songwriter has admitted she went through a "crazy breakdown" with her former partner and was left "so angry and upset" when she discovered he had a girlfriend and was subsequently titled a "mistress" because she didn't know he was already in a relationship. Speaking exclusively to BANG Showbiz about her love life, the brunette beauty said: "I went through a crazy breakdown with my daughter's father and found out he had a girlfriend and was heartbroken. And then I got labelled a mistress and I was so angry and upset. To me that is not what it was. To me I didn't know he had a partner." As a result of her heartbreak, Rebecca - who was the runner up on the seventh series of 'The X Factor' in 2010 - wrote her latest track 'Mistress', which she has described as a "fight back song". Speaking about the single, she said: "So 'Mistress' is a fight back song of no that ain't me, you've been trying to get with me so long. But it is an anthem for every woman who gets used in situations like that. It's like tell them that ain't me, I ain't no one's side salad. It is one of those songs that if you are being used or whatever, you are like no I am too lovely to be second best." And Rebecca - who has 13-year-old daughter Lillie May Duras - has admitted the "only way" she can write hit songs is if they are about her personal experiences. She explained: "It is the only way I know how to write really. Every song on the album is exactly how I felt that day. When I wrote 'Hold Me' that is how I felt. I was vulnerable and I wanted someone to hold me. I don't lie about it, I'm not ashamed to say to people that is how vulnerable I felt that day. "'Superwoman', when I wrote that it was about being a single mum. Sometimes I lose it and I am all over the place. But do you know what, I am not Superwoman I am just a mum and a woman. Every song on the album is exactly how I was feeling." Perrie Edwards appears to thrown shade at ex Zayn Malik's performance in the bedroom on a new Little Mix track. Gavin Rossdale is desperate to "move on" after his split from Gwen Stefani. Busted are heading out on tour in support of their forthcoming LP 'Night Driver'. Celine Dion has only kissed one man in her life, her late husband Rene Angelil. Selena Gomez was spotted meeting fans in Tennessee during her self-imposed break from music. Pixie Lott has teased she is working on new music with an unnamed artist. Rod Stewart and Ronnie Wood remain “incredibly close” friends. Beyonce brought out special guests including Serena Williams and husband Jay Z to help close her Formation World Tour.